Amazon Discounts For Father’s Day! Holidays are always fun — because Amazon starts offering big discounts on gifts! 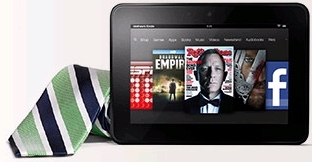 Father’s Day means big discounts on tablets from Amazon, and also on their new Amazon Fire TV. And there’s even a “bundle” where you can purchase both products and get a 25% discount. The best deal is a $40 savings on a high-definition Kindle Fire tablet. Amazon’s lowered the price to just $129, but there’s also discounts on their other tablets. You can also get the same high-definition Kindle Fire for just $119 — a $20 savings — if you’ll settle for an 8-gigabyte hard drive instead of one with 16 gigabytes. It’s Amazon’s cheapest tablet, and with these discounts it’s just $50 more than one of Amazon’s black-and-white readers! But Amazon’s also offering discounts on their fancier tablet, the Kindle Fire HDX. Its screen has an even higher definition — 323 pixels per inch — plus a camera and a built-in microphone, and a whole lot more storage. The Kindle Fire HDX starts with 16 gigabytes of storage, but there’s also versions with 32 gigabytes and even 64 gigabytes. And for Father’s Day, Amazon’s lowering the price of all of them by $30 — to just $199, $239, and $279! 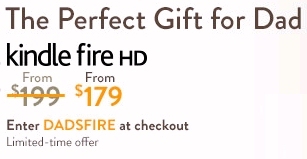 There’s also an intriguing discount on their newest product, the Amazon Fire TV. If you purchase the $99 device for Father’s Day, Amazon will instantly “kick back” a $15 credit for their Instant Video service. It’s an easy way to connect Netflix to your TV — along with Hulu Plus, and Amazon’s own video-rental service. I would like to be able to search for shows just using my voice — and it’s also part of one of Amazon’s most interesting new discounts. They’re selling a bundle which includes both the Fire TV device and a high-definition Kindle tablet. You get both products for just $249, which comes out to a savings of $79 (or 25%). And it’s Amazon’s high-end tablet which they’re including in the bundle — the 323 ppi Kindle Fire HDX. 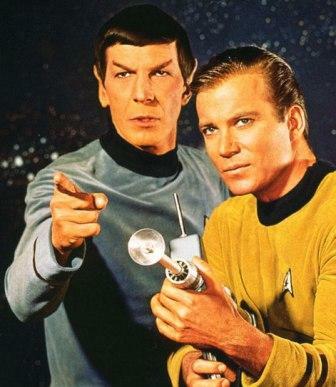 So if you’re looking for gifts for Father’s Day, Amazon’s got some ideas — and some discounts! 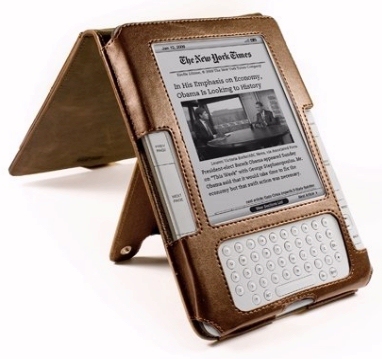 Father’s Day is this Sunday, and Amazon celebrates the holiday each year with a tradition of their own — with sales on Kindles! This year, Amazon is discounting the high-definition version of their Kindle Fire tablets, hoping people will buy one as a gift for their dad. It’s the third year Amazon’s offered some kind of Kindle discount as the holiday approaches, with savings of up to 20%. Amazon’s lowered the price by $20 on all three versions of their Kindle Fire HD tablets — including the standard 7-inch model (which usually sells for $199). Both of the larger 8.9-inch versions are also eligible for the $20 discount — including the one with the built-in 4G wireless connectivity. (All you have to do to claim the discount is enter the code DADSFIRE when you’re checking out — so be sure you’re not using Amazon’s “One Click” button to make your purchase!) I’ve read the terms and conditions, but it’s mostly the standard disclaimers — that the discount is only available “while supplies last”. 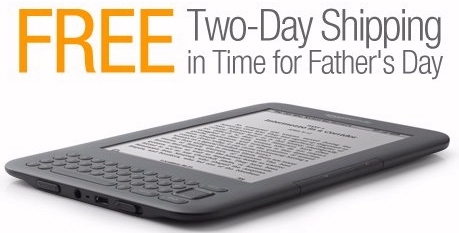 And they’re limiting it to just one Kindle per customer — I guess on the assumption that you only have one dad! Of course, Amazon’s also offering discounts on other products, too. Today the front page of Amazon.com is promising “Big Savings on select Samsung HDTVs”. Even the clothing area of the site has a promotion offering “laid-back gift ideas, like classic Levi’s and more.” I checked for special offers in the Kindle Store, too, but the only thing unusual that I saw on its front page was a selection of “Classic Westerns by Louis L’Amour” — as well as a selection of 20 of Amazon’s top-rated Western ebooks. I was surprised that they didn’t even mention in the Kindle Store that you could save $20 if you purchased a high-definition Kindle Fire tablet! But at least they’re mentioning it on the front page of Amazon — where they’re calling it the perfect gift for dad.